In his posting today entitled The Last Stretch, Armchair General mentioned that he had now sent out the latest figures for painting. Here are the pics of what is in this batch. 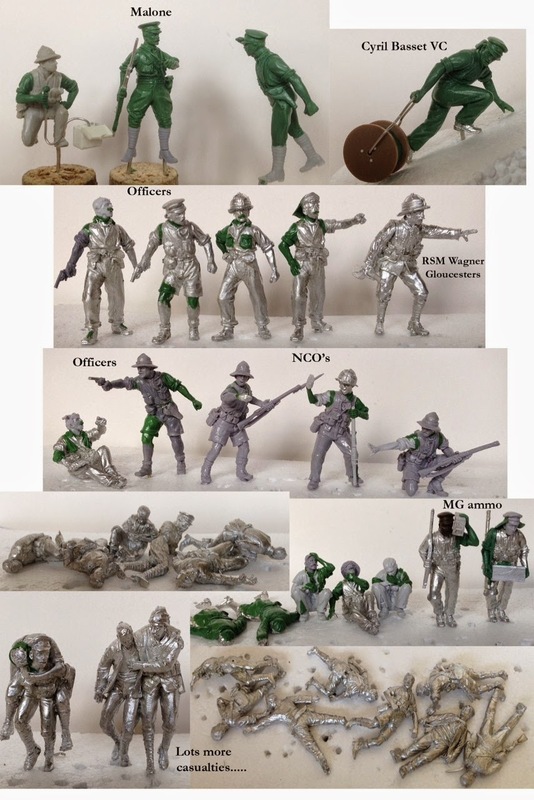 This batch includes the main character figures for the diorama, such as Lieutenant Colonel Malone (the subject of the book No Better Death that I previewed earlier) and the VC winner Cyril Bassett. There is one more box to arrive, only a small one with mainly one-off figures.